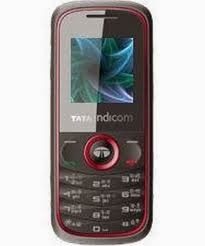 I am using a Tata Indicom CDMA connection. The mobile phone used for this is of model Huwaei c2831 cdma. This has a FM radio option, but to hear the programs you have to conect the headset which acts as an antena. When it is connected the phone is automatically changed to HANDS-FREE mode and normally it should be reverted to Normal mode when the head set is unplugged. In my case even after unplugging of headset, the phone is still in hands-free mode and its shows a logo image of headset on the middle left of phone screen. When a Call comes, I cannot hear what is said by the person on other end, but he can hear what i am saying. If I connect the headset I can hear the other person. Following are the different actions I took. 1. I had gone to the options and set off the Radio mode. Then switched of the phone and then switched on it. a. Switched off the phone removed the SIM card and then switched on it, Since there is no SIM now, it said only SOS allowed. So i selected SOS and then typed "##258741" and selected Call option, then it gave a warning "Only emergency calls are allowed"
In most of the cases any of the above action will fix the issue. but in my case all this failed and I doubt of an software / hardware error. Finally the issue was found. There was some sort of particles found in the headset plug point which falsely sensed the phone as headset attached.